Google’s Engineer Matt Cutts was in the headline as the second day of SES San Francisco 2012 kicked off. Cutts along with Mike Grehan of Incisive Media Global VP discussed on the key changes that Google have done in their algorithms i.e. Panda and Penguin. During the Matt Cutts Keynote for SEO, He answered some intellectual question about Google algorithm update, which had such intensity they could literally shake the boots of SEO Consultants, as well as webmasters. As you all are aware every single person is waiting for the next Penguin update, but Matt Cutts head of Google Web spam said “you don’t need the next Penguin update”. Furthermore, he warned SEO Consultants and Webmasters about the next Penguin update, “The Few Updates would be shaking and jerking”. 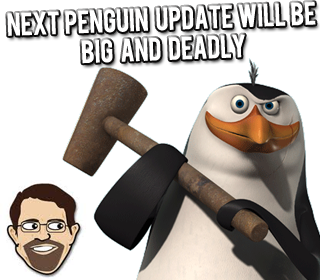 Matt Cutts Said, “You don’t want the next Penguin update the engineers have been working hard. For Penguin the updates are going to be jarring and jolting for a while. Webmasters who want to get as much visibility as possible should look at the spectrum of value you’re adding”. We have not seen a Google’s Engineer ever giving a wakeup call, but eventually by reading the above quote it is quite clear that Next Penguin improvement would be BIG and deadlier. According to our estimates and polling about 70% of SEOs were hurt badly by Penguin but panda only affected 40% so it is quite clear that Google’s main concern is to eliminate Spam from the web. Though, Matt Cutts has again posted an updated that people have taken him in wrong way about his previous conference. Now after this treachery it is quite clear that something is going fishy in Google Web Department, otherwise you will never see MATT Cutts defending his statement by commenting on leading SEO Blog. This gives birth to numberless questions but believe it or not the next Penguin improvement could make or break numberless SEOs. To keep yourself protected from the next update, you have to follow Google’s webmaster guideline because if you won’t, then you might be blown away from the Power of Penguins. What Bloggers and Webmaster Should Do Now? Though, Matt Cutts has taken his words back but one should always prepare of the coming difficulties. However, only those users should worry who are not concentrating on their content and frequently violating Google quality guideline. Following are some quite tips that you should apply for better results. Stay away from Black Hat Techniques that are used to manipulate Search Results. Follow Google’s Quality Guideline for Webmasters. Built Quality content and work with devotion. No one ever thought that Matt Cutts would reveal Google’s inner news in this conference. Though, he has cleared the misconception later on. However, due to his earlier statement everyone is alert and are on their toes to survive the biggest wave every witnessed from a Bunch of Google’s Penguins. We will keep you updated reading this Matt Cutts and Penguin conspiracy till then, peace, blessings and happy Googleing. Well, I guess! You are just giving it extra blow! Nothing going to be happen really soon. As I have watched the conference video, and as well as his talk videos. He simply stated the next Google Penguin (which not going to be coming in a month or two) will be a standard update (means, they going to finally give a shape - means, now SEO experts can break it). If you do remember, last year they have also gave the similar update to Google Panda in April, and makes it a standard then started rolling out monthly data updates to make the news things come on the top. It seems interesting. I want to know what happens when penguin is updated.I'm waiting to see such moments & I'm Afraid too. I Don't Think So Brother, Though MATT Has Cleared Everything but still the whole internet is buzzing around the same topic. If there was nothing behind it then that's for sure this topic could easily be burred down. And For the Reason Matt Replied to an SEO Blog its quite clear there is something fishy. Peace and Blessings. We Appreciates your Opinion. I guess keeping content relevant and interesting should be key strategy for any penguin updates. I am not one to worry about this given that I am not overly obsessed with SEO. Besides, this should benefit those who really strive to provide quality content. It can be a good news or a bad news. Lets see whats happen. So that means all those Fu**ers who have been scrapping my contents will be fu**ed-up real hard? It Good News For Those Bloggers Who Works Hard And Give First Priority to their Content. While It is Bad News For Those Who Just Copy and Steal Content. Panda: is a Google Algorithm which is introduced to Penalize Those Website Who are either Copying Content From other Website or has Low Quality Content. Penguin: is also Google's Algorithm which is introduced to Fight against Spam Website. Those Sites Who are not Following Google's Webmaster Guideline and are busy in doing BLACK HAT SEO. Either penguin or panda lets keep our fingers crossed and see what happen first. i am not familiar with these programs or sites.